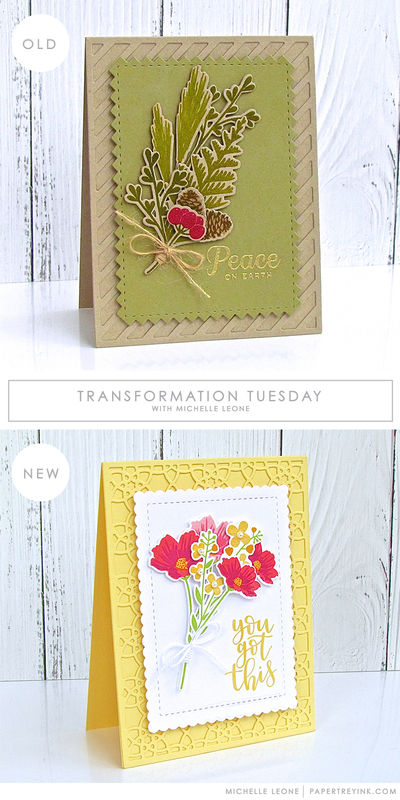 Join Michelle Leone today as transforms a winter card into a spring card. Why have I missed this darling set of flowers? These really are so pretty and delicate, especially the pinks. Yep, snow here still but Spring is coming and we’ll get to enjoy those flowers soon! 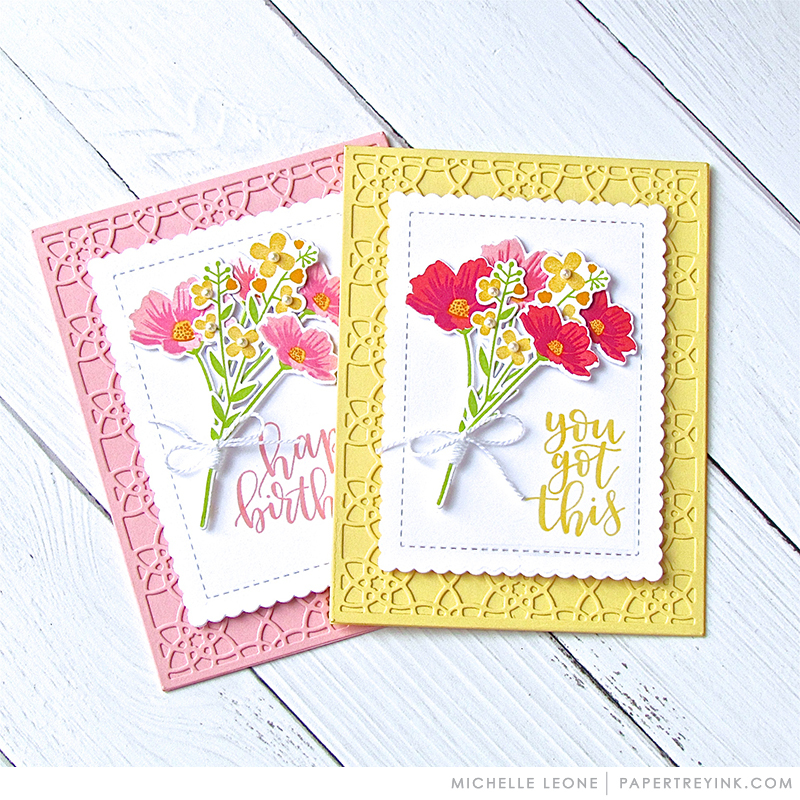 Great transformation, Michelle! I love both the old and the new. Such a sweet bouquet. Thanks for the inspiration! This reminds me of the super bloom that California is going through right now and those pink and red flowers could look like poppies, our state flower, if stamped in orange. I have to do that. Great cards!